For the first time since 2009, the U.S. Men’s National Team finds itself in a semifinal bout at the IIHF World Championship. The foe is the surprise story of the tournament, Team Switzerland, which has gone 7-1-0-0 in tournament play, beating such powerhouses as Canada and Sweden along the way. Neither team was expected to be at this stage, but both have a trip to the gold-medal game on the line, so the stakes are high. The game will air live on NBC Sports Network at 1 p.m. ET. It’s a late add to the TV schedule, so if it’s not showing up on your channel guide, fear not. It will be on live. Contradictory to information released Friday, the game will not be airing live on TV. Due to a conflict with the Indy 500 time trials and Preakness under-card races already scheduled to air, the USA-Switzerland game will be available on a live stream only and will air tape-delayed after Sharks-Kings Saturday night. This is unfortunate, but not unexpected. Still incredibly silly to air as much of the tournament as NBC did and not have the two most important games, as the gold-medal game, if the U.S. is in it, is also in question due to already-scheduled broadcasts. After Team USA’s surprising drubbing of Russia in the quarterfinal, momentum is certainly swinging in the right direction. Things have been clicking for Team USA and after such a dominant performance, the confidence level should be high as well. The U.S. will meet a foe that is probably more similar in skill level and style of play. The Swiss can grind it out with the best of ’em, but the one major advantage Team USA should possess is its team speed. Grit is certainly helpful, but on the big ice, speed is the name of the game and why the U.S. has been able to outmatch most teams. The big similarity however is the steady, sometimes spectacular play, in net for both clubs. Switzerland has ridden Martin Gerber most of the way and the former NHLer hasn’t disappointed, but it sounds like Calgary Flames prospect Reto Bera will get the nod in net Saturday. Bera has been strong in three appearances for Switzerland. Meanwhile, the U.S. will start 19-year-old John Gibson who was undaunted in starts against Finland and in the quarterfinal game against Russia. It could come down to one of the goalies flinching in what should be an even contest. Team USA has an opportunity that doesn’t come around often. Winning the game guarantees the U.S. its first medal since 2004 and would put the Americans in a position to win the first non-Olympics World Championship gold medal since 1933. A win also might get some attention — not a lot — from NHL fans that regularly tune out the World Championship. Playing in the gold-medal game is at least noteworthy due to the sheer rarity of it at this event. It’s not exactly a highly-anticipated event, but there are probably enough American hockey fans that would like to see the U.S. win gold, just because America likes winning at stuff. So playing for a shot at the gold medal and to capture a little extra attention might be nice. So how do they get to that gold-medal game? Well, it won’t be easy, but the U.S. roster seems to be coming together at the exact right time. Team USA’s solid 8-3 victory over Russia was far from a fluke. The better, more disciplined team won on Thursday and won big. The U.S did well by playing a very simple game and letting the Russian club make the mistakes and force plays. Not only that, Team USA was able to use it’s speed in transition and on the forecheck to keep Russia’s defense on its heels for a lot of the game. It can do the same to Switzerland. The top line of Paul Stastny centering Craig Smith and David Moss had another stellar effort against Russia and will need to do more of the same in the semi. Stastny and Smith have 13 and 12 points respectively, which represent some of the highest totals over the last 30-plus years for an American in the tournament. If this line keeps clicking like it has, Switzerland is going to have an awfully tough time slowing them down. The same goes for Team USA’s second scoring unit featuring Alex Galchenyuk and T.J. Oshie flanking Tim Stapleton. As Oshie and Galchenyuk adjusted after late arrivals to the team, both scored in the game against Russia and provided a spark. Having two games under their belt should make them all the more effective. Defensively, the U.S. has a big advantage with a highly-mobile defense that should be able to mostly contain Switzerland’s more workmanlike offensive pressure. Team USA’s D corps had a terrific game against Russia, with Justin Faulk once again leading the way. Young defenseman Jacob Trouba also stepped up with his best performance of the tournament, while others like Matt Carle, Chris Butler and Erik Johnson all looked as good as they have. Gibson has been nothing but good since he’s gotten the starting nod. He’s made one noticeable mistake perhaps in the pipes in 180 minutes of action. That’s not too bad. His even-keel in net is perfect for big games. He’s risen to the occasion almost every time he’s needed to for the U.S.
On the other side, Switzerland is a team mostly made up of unknowns to North American hockey fans. There are a few familiar names, but overwhelmingly, the Swiss roster is primarily players from European pro leagues. Three of the major impact players are names you’ll know, though. Aside from Gerber, perhaps no player has meant as much to the team to date as Nashville Predators defenseman Roman Josi. The big man has been a two-way threat the entire tournament and one of the best blueliners there period. He has eight points, which is tied for the team lead, and averages nearly 20 minutes a game for the Swiss. He’ll be a big factor in the game in a variety of ways. The Swiss also have gotten the most out of New York Islanders prospect Nino Niedereiter, who was sent to the Worlds even though the Isles made the playoffs. The youngster has four goals and two assists and is one of Switzerland’s more dynamic players. Denis Hollenstein, who played for Kloten in the Swiss National League this year also has eight points and has a good mix of skill and grit. He’s another guy the U.S. will have to be aware of. It’s somewhat surprising that Switzerland is reportedly starting Reto Berra in the semifinal and not Martin Gerber. Berra has made three appearances and has been very good, posting a 1.33 goals-against average and .957 save percentage. Berra was one of the pieces acquired by Calgary in its trade of Jay Bouwmeester. He played for HC Biel in Switzerland last year. So this is a big game for the 26-year-old. One of the more intangible benefits the U.S. has over the Swiss is the amount of championship experience on the American roster. Nine players on Team USA have been in this position before at either at the Olympics, World Under-18 Championship or the World Juniors. Being in those situations certainly will help Saturday. These elimination games are not easy to close out, so it’s going to take another strong effort from Team USA. It certainly has the skill to win the game, it just comes down to execution. Playing simply, but pushing the pace will be key. What probably started as a tournament to just get some extra work in for a lot of guys is now a very real opportunity to win a world title. These two clubs should put on a good, entertaining game. 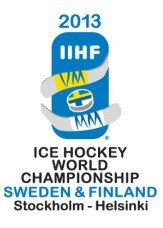 The winner will meet either Sweden or Finland in the gold-medal game Sunday. Expect a full recap after the game Saturday, with a quick look ahead to whichever medal game the U.S. ends up.